Thanksgiving brings to mind family, friends, turkey, potatoes, and thanks-giving — of course. But, it can also bring Thanksgiving traffic to mind. Millions of people travel for the holidays and a majority of them travel by car. In fact, last year nearly 51 million Americans contributed to road congestion over the Thanksgiving holiday (a 3.3% increase over the previous year). The Thanksgiving Traffic Forecast 2018? Inrix predicts your time on the road could increase by as much as 4X, with 2.5 million more people opting to commute by car for the holiday. That’s 4.8% more people on the roads, for a total of 54.3 million drivers – all with the common goal of gobbling till they wobble. With all those people on the road, safety is a major concern. While you may be used to cruising around your neighborhood on the daily, adding holiday travelers to the mix is bound to result in much more congestion, traffic, and errors. 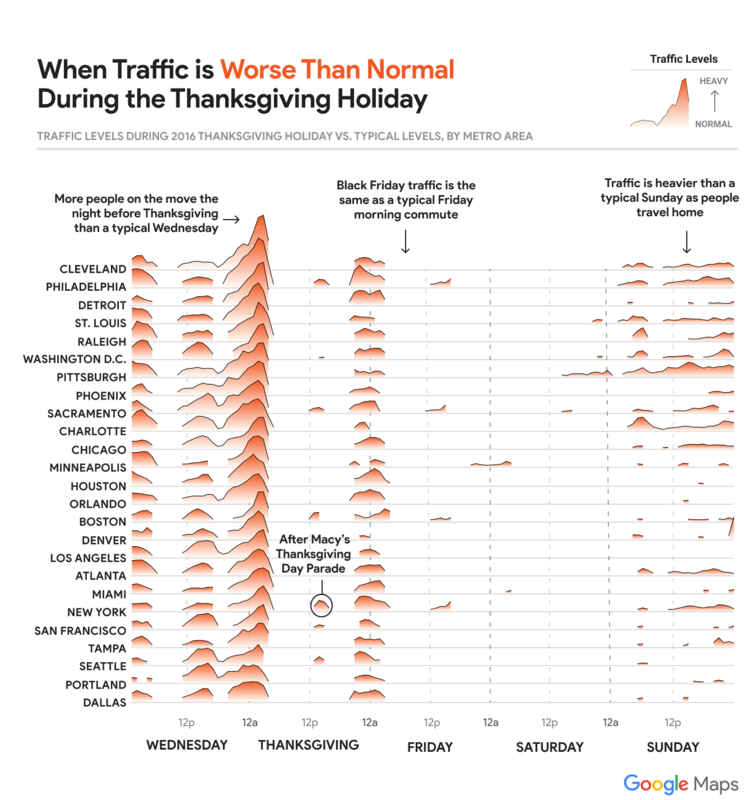 Luckily, Google, mapped Thanksgiving across the country to help drivers understand when Thanksgiving traffic is worse than normal (i.e. when to stay off the roads). Don’t even think of hitting the road between 3-4pm on November 21st, unless you enjoy slowly creeping down the highway as a glacial speed. Trying to hit the stores Friday morning for the Black Friday sales? You should be fine- Black Friday traffic is usually the same as any other Friday, just prepare yourself for that parking lot madness. Heading home Sunday? So is everyone else! Polarizing times seem to be better; so shoot for early morning or later in the evening. Overall, the best days to travel will be Thanksgiving Day itself, Friday, or Saturday. Drivers, flyers, and alternative transit users should all expect travel delays on Sunday. While we know avoiding the traffic altogether is the safest option, we also know that holiday travel is usually unavoidable. So, if you can’t beat them, you’ll have to join the masses on the roads. Avoid the busiest travel days: This may seem like a no-brainer, but it’s often times easier said than done. The busiest travel days are the Friday before Thanksgiving, the Wednesday before Thanksgiving and the Sunday following Thanksgiving. The early driver catches the worm: Leave early. Taking data from past holidays, Google has found that leaving by 6 a.m. on Sunday is your best bet. From there on out traffic will only get worse. Headed home? – Leave early; Friday is the best time to head home Thanksgiving traffic free. When in doubt, Podcast it out: Be prepared for traffic anyways and have a playlist, audiobook or Podcast ready to entertain you while you wait it out. 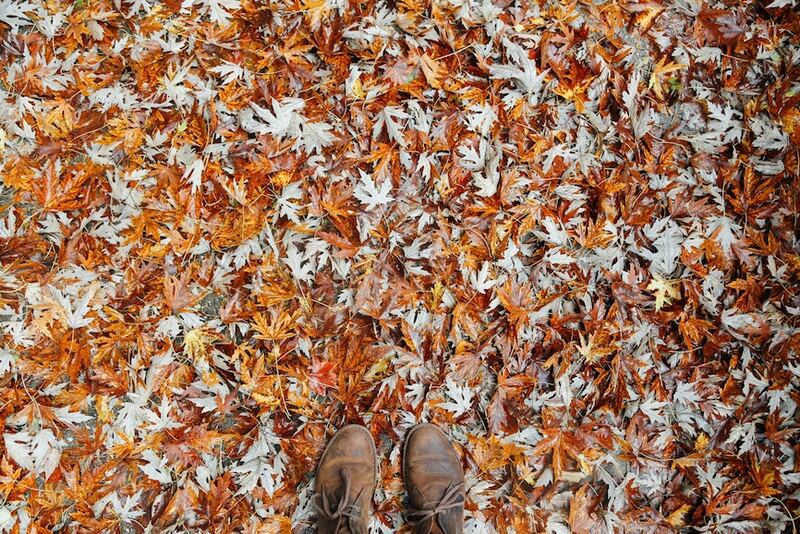 Having something to listen to will keep you calm so you show up to Thanksgiving refreshed not stressed. Be courteous: Everyone is pretty much on the road for the same reason, to get somewhere to eat and celebrate with loved ones. We could all use a little extra kindness here and there and making the extra effort to be polite to others on the road can make a huge difference. Please be safe out there, Metromilers: Remember to keep your seatbelts fastened and all your limbs inside the vehicle at all times. Avoid distractions and use a portable navigation system if possible. Be sure to drive at the speed limit and leave that road rage at home for the holiday, no one likes a Scrooge at Thanksgiving. Be thankful: Traffic is definitely a nuisance and sometimes it’s easier to complain and focus on the negative. But, always remember that the traffic could be worse, or you could not be going to spend the holidays with loved ones. Being thankful for what you have and taking every day one step at a time, and every traffic jam one mile at a time can make that stop-and-go freeway drive that much more bearable.